In 1877, Louis Plauchut had an old logis looking over the river Charente pulled down and this large mansion built as a replica of a castle he had seen while travelling through Scotland. Louis Planchut had two brothers. His brother Edmond, a traveller and writer, also worked as a private secretary to the writer George Sand in Nohant. In the castle, Berthe, Louis’ daughter-in-law, would attend her circles of poets and writers. 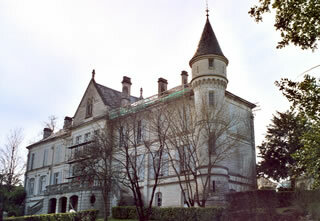 In 1996, the municipality acquired ownership of the castle. This is the place where the Dean of the Chapter would dispense justice and tithe. This beautiful XII th and XIII th centuries vaulted room has an inner well, loopholes and a mullioned window suggesting a XIV th century elevation. The best known of the Deans was Bertrand de Saint Genies (1260-1350), Pope John XXII's secretary and Dean for about thiteen years. Built in the XIII th century, this manor-house belonged to the Sardin family, the influential feudal lords and fief-holders of "Chalonne", at the Gond-Pontouvre, near Angoulême. 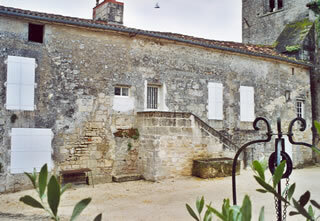 It was later purchase by the Montgeon family in the XV th century. Jean de Montgeon, mayor of Angoulême, left the principal house to his son Pierre and the remaining part of the estate, the "Haut-Puy de Féac", to his other son Jean, author in 1612 of a "Manual of the Art of War". The "logis" was bought in 1763 by the Marquis Marc-René de Montalembert, who had established a foundry in Ruelle, and restored according to the XVIII th century style and standards. In 1792, general Martin de Bougon, governor of the French Guyana, took temporary possession of the "Logis". 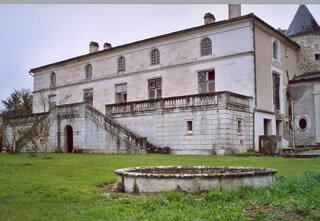 In 1997 its last private owner, Fernand Pluviaud, left by will this principal house and estate to the "commune de Fléac". Built in 1852 as his private mansion by Jules Durandeau, a banker, and used from 1918 on as a first-class residential hotel, the " Pension Reverdy". 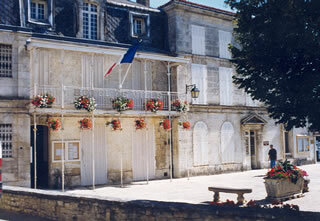 The building and gardens were bought in 1946 by the municipality for use as the new Town hall. Inside can be seen a II nd century gallo-roman statue, possibly of Santa Barbara, as well as a remarkable chimney-piece. 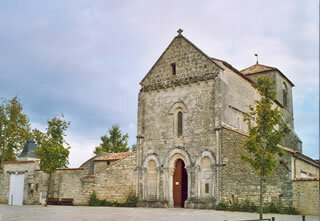 The romanesque XII th century church Notre-Dame de Fléac, was possibly established on a former site of local Celtic an Gallo-Roman worship. Normand invaders destroyed an earlier sanctuary from the VIII th century dedicated to the Virgin Mary. As an Historical Monument, it became part of the French National Heritage in 1912. Inside can be seen a line of domes dating back to the second half of the XII th century and also a mural completed in the XVth century and representing Santa Barbara's martyrdom. On the facade is a line of modillions with human and animal ornaments.